Steven Soderbergh is incredibly talented at many things—directing, editing, writing, importing Bolivian liquor—but it appears one thing that the multi-threat is terrible at is retirement. To be fair, Soderbergh has maintained that he was retiring from directing cinema only and has since gone on to many cinema-adjacent projects, like directing and producing the well-received Cinemax series The Knick. However, while he may be done with making films for theaters, Soderbergh never stops thinking about the intricate elements that make up good cinema and, luckily for everyone, he also doesn’t stop writing about those mental exercises. 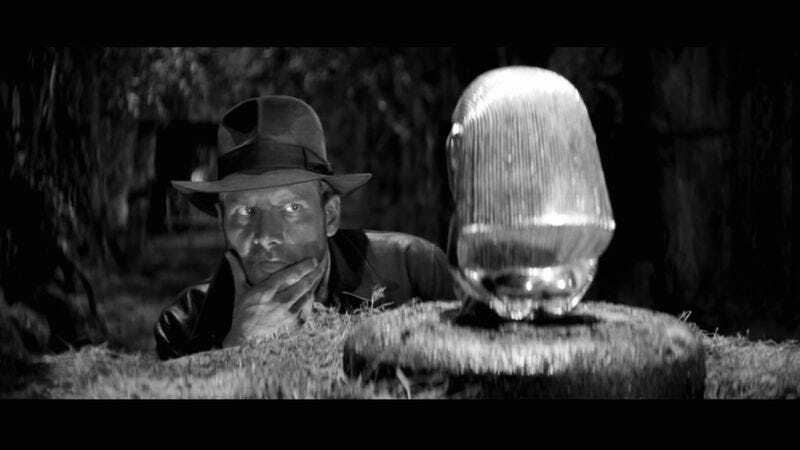 His latest effort to get people thinking deliberately on how to construct a good film is by examining how staging works in Steven Spielberg’s Raiders Of The Lost Ark. This isn’t the first time Soderbergh has used a film classic to illustrate some element of film (or merely as an intellectual challenge to himself). He created a montage that effortlessly switches between Hitchcock’s and Van Sant’s versions of Psycho, even having the two versions converse with each other across decades. In his editor pseudonym of Mary Ann Bernard he recut Michael Cimino’s Heaven’s Gate, resulting in a tighter film that Soderbergh dubbed “The Butcher’s Cut.” With this treatment of Raiders (only available on his site), Soderbergh has once again put his own spin on a well known film, all in the hopes of further inspiring better filmmaking and better discussions about filmmaking.